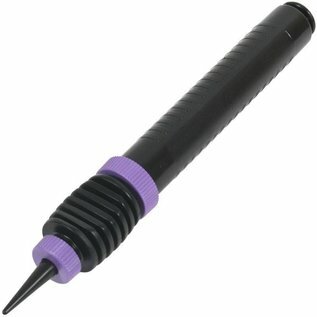 The Qualitex Pocket Pump is only 9 inches long. It is slender enough to slip into your pocket. Yet is a double action pump. (Meaning it will inflate when you push and pull the pump). Get those balloons filled quickly and easily! This pump works best with 160Q balloons but will inflate 260 s and other balloons as well.